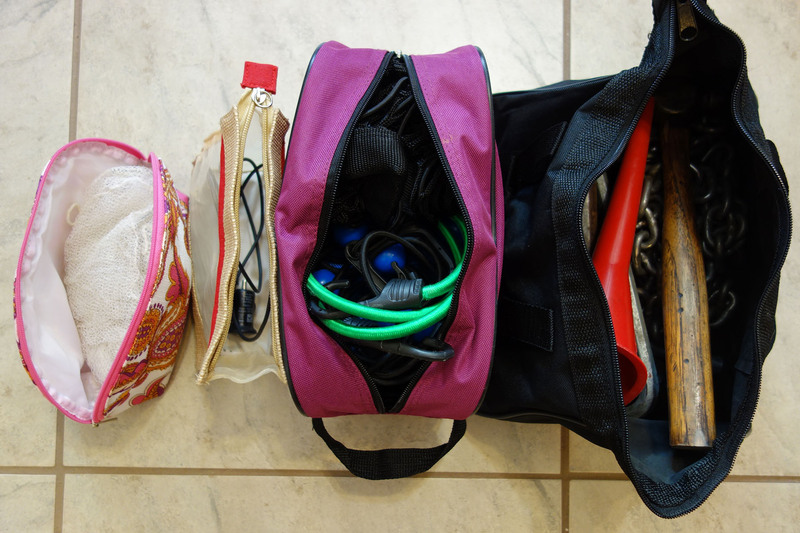 There is never enough storage space in one’s vehicle for all the items one finds it necessary to cart around. I buy zippered cosmetics/toiletries bags and containers from my local thrift stores, clean them up, and use them to store items in my vehicle. They work perfectly for holding all sorts of oddly-shaped things and for keeping dissimilar things neatly separated. They can also be stuffed into those sometimes awkwardly-shaped storage compartments in vehicle doors, floors, consoles, and dashboards. 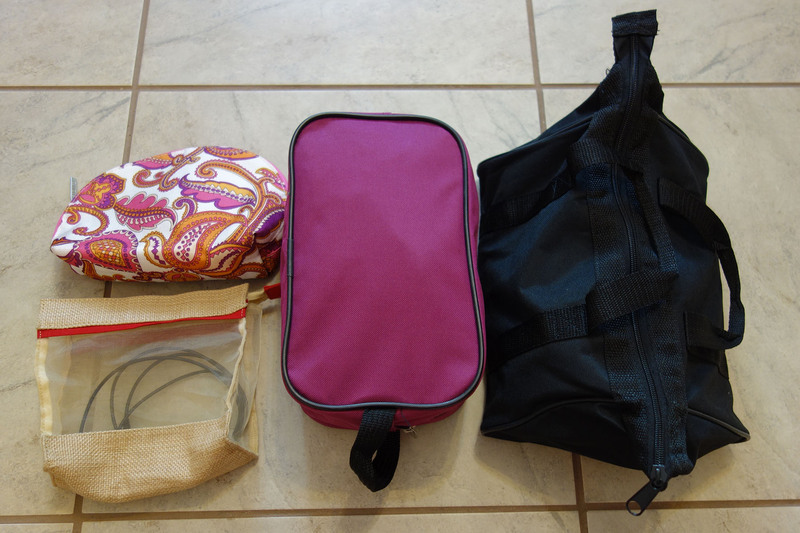 This entry was posted in Life!, Making It Work and tagged cosmetic bags, repurposed cosmetic bags, thrift store, thrift store find, toiletries bags, vehicle organization, vehicle storage by tarvasalutes. Bookmark the permalink.